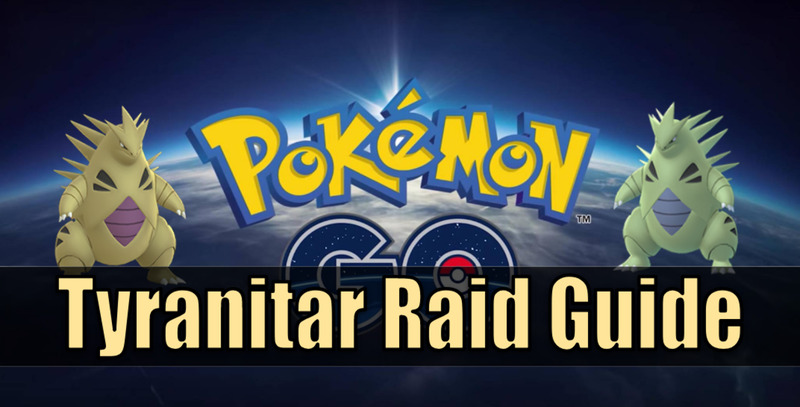 Niantic has also said they tend to skew the odds in favor of people who have not completed an EX raid before. 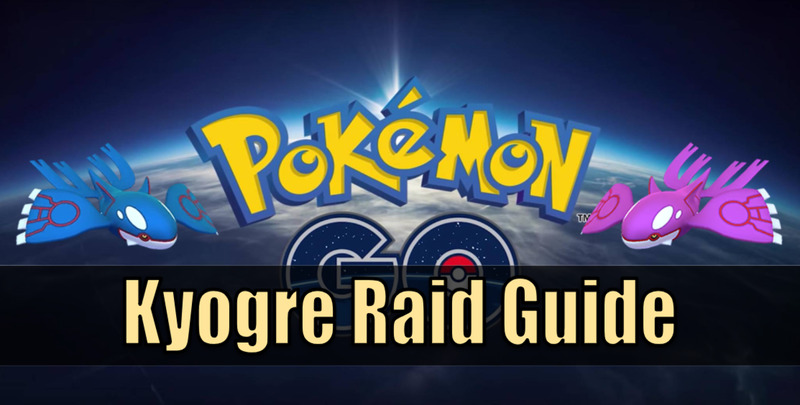 So find your closest EX raid gym and start working! When waves of invites are sent out, everyone will get a notification at roughly the same time, so you'll know pretty quickly if you were part of this wave. If you weren't, keep playing and hopefully next time around you'll make it. 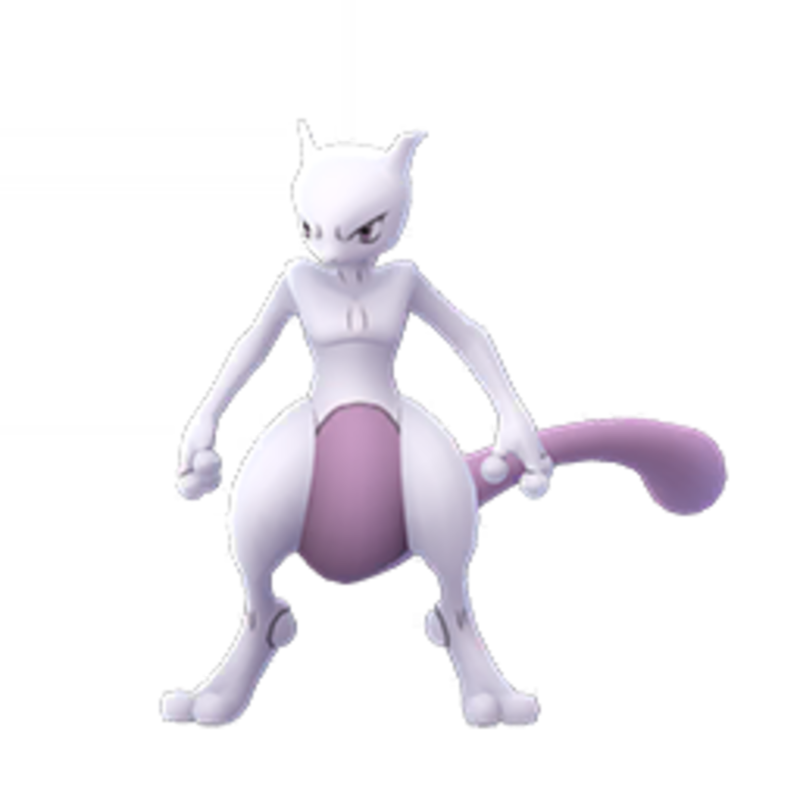 EX raids are scheduled, and each invite will have a gym location and time for the raid. 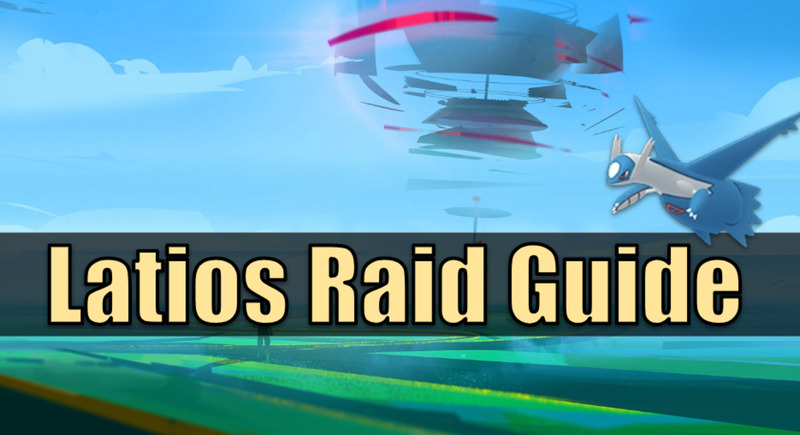 It tends to skew toward timing that makes sense, such as the day and time you did a raid at that location but doesn't always match up perfectly. When you get an EX raid pass and your date/time for the event, it's best to find your local Discord server and see if a group is forming. 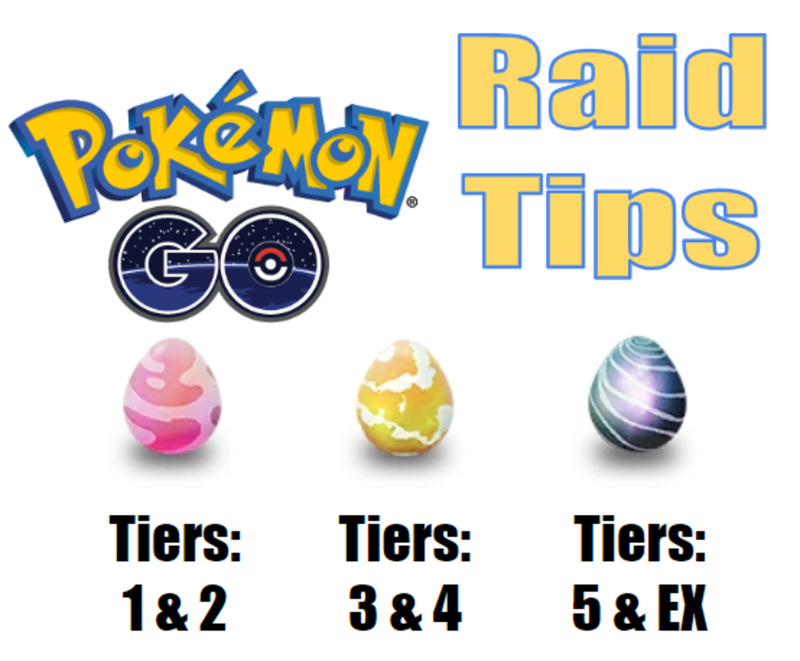 If not, it tends to be sufficient to just show up before the egg hatches and get ready to raid. There isn't much you need to know otherwise. You can bring a friend as well! You can now give an invite to an Ultra Friend by tapping the EX raid pass in your items list, hitting invite, and selecting an applicable friend. They'll also give you extra balls and attack damage, so it's worth bringing someone even if you don't just want to be nice. 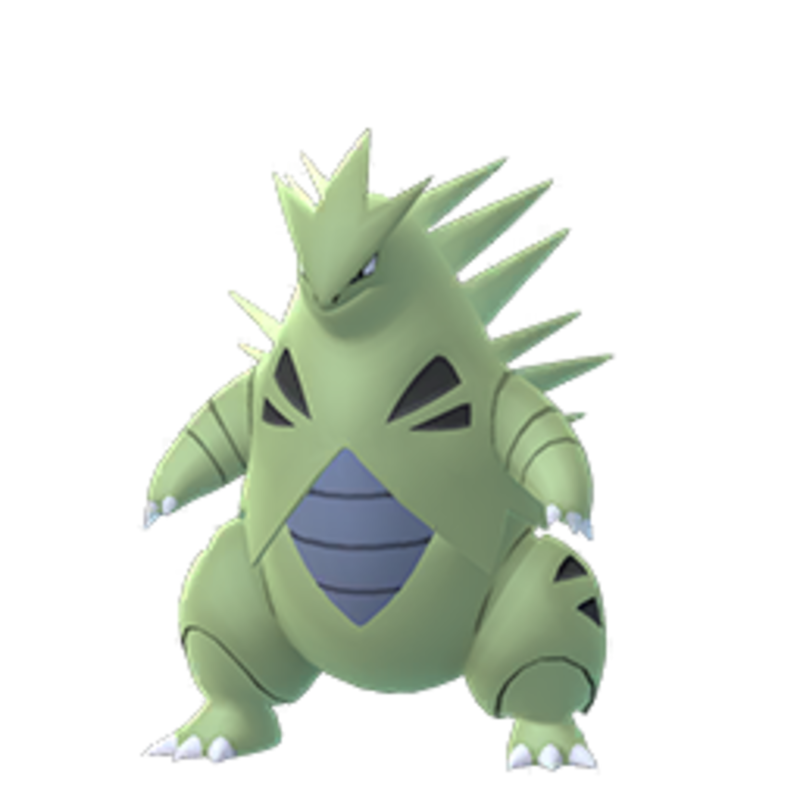 Often times EX raids have plenty of people, so you don't have to worry so much about being strong enough. However, it never hurts to be more prepared, and if you live in a more rural area, it may be essential. Keep up on your counters and try to build an appropriate team. 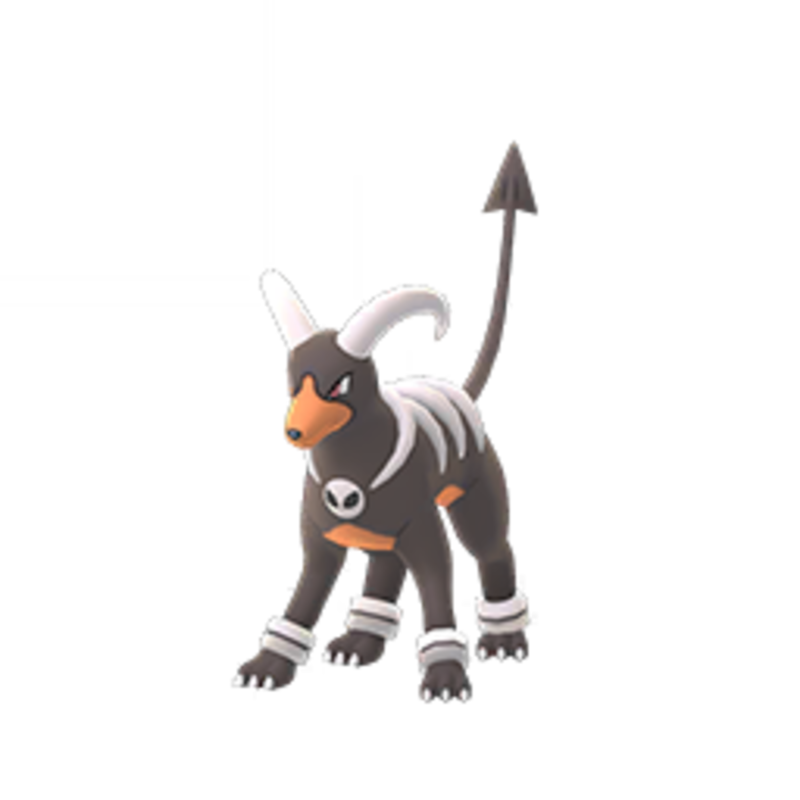 Remember that Deoxys is Psychic, so he's weak against Bug, Ghost, and Dark. 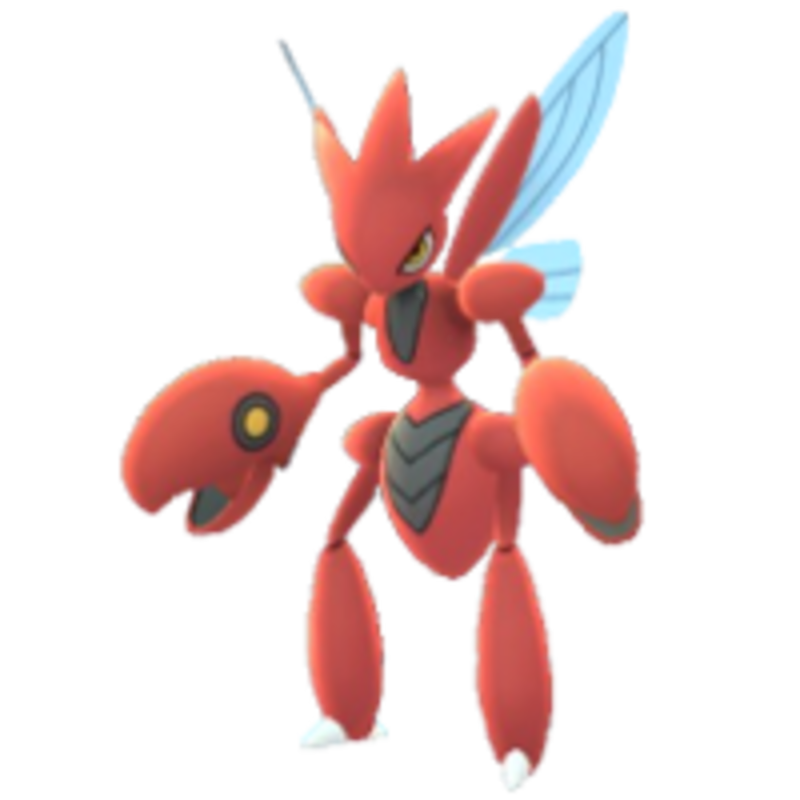 Deoxys knows Psychic, Electronic, and Normal moves, though it's generally wiser to optimize for offensive type effectiveness rather than defensive type effectiveness. 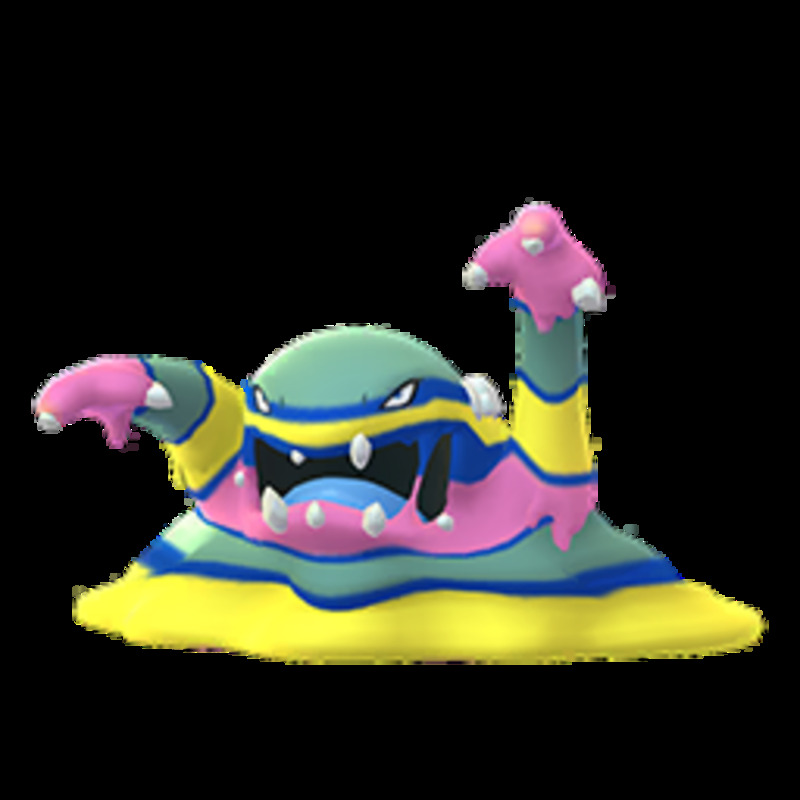 A few other honorable mentions are Latios, Latias, Alolan Muk, Drifblim, Banette, Absol, Groudon, or Mew. Don't forget, Windy weather will boost Psychic Pokemon, making Deoxys a higher level (level 25) and stronger! Fog weather will buff Dark/Ghost, and Clear/Sunny will buff Bug, so keep an eye out! 6% Catch Rate? No Problem! Deoxys is not too tricky to catch, like other EX raid boss (or I guess... Mewtwo) Deoxys has a 6% base catch rate. 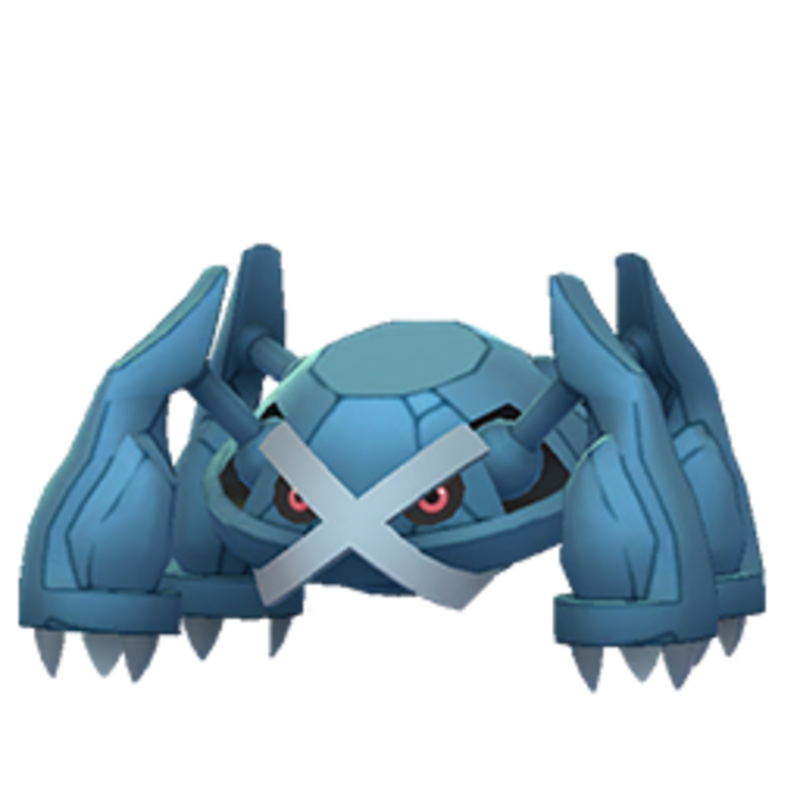 That may sound low, but after all the multipliers stack up, it can be fairly easy to break a 30% catch rate in a single throw. 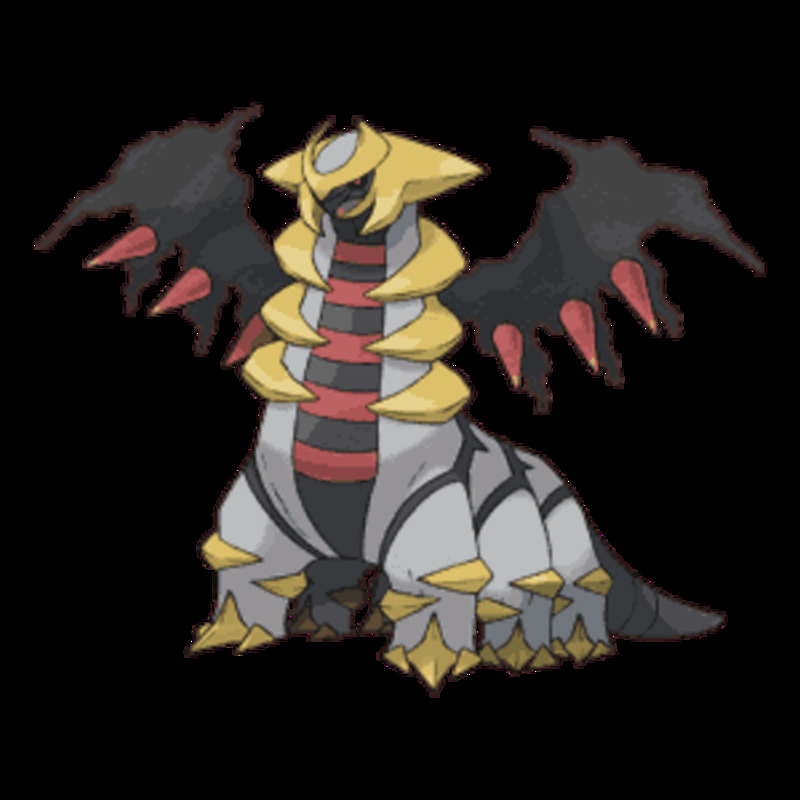 This would require a curved great shot, golden razzberry, and a gold medal for Psychic Pokemon. If you get ten balls to use, you'll have roughly a 98-99% chance at catching Deoxys so long as you hit all of your throws. Of course, if you end up with more balls for owning the gym or bringing friends, you'll have even more room for the occasional mistake. As per usual, line up your colored circle and be sure to wait until he attacks before throwing your ball! 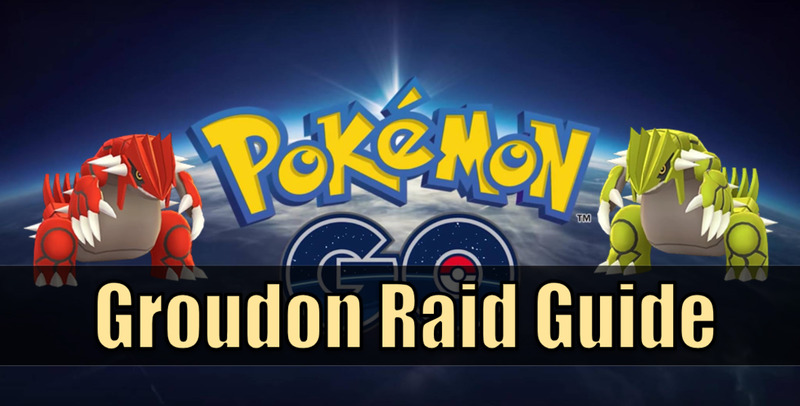 For more details on catching, check out my other article on generic Pokemon raid tips. This is my latest catch, with 84% IV. Not bad, but not great either. Before even thinking about appraisal or using an IV calculator, just check out Deoxys' CP on the catch screen. 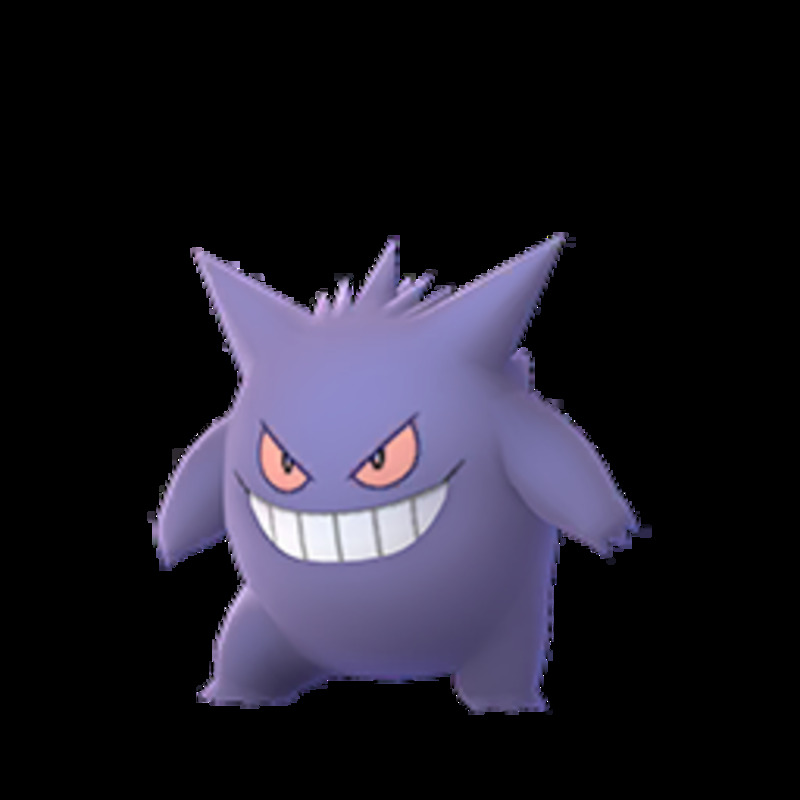 Its catch CP will reflect its IVs, so you already know in advance if it's a strong one or not. This may help you make decisions on how much time, effort, and golden razz berries you should throw at it. In non-boosted weather, Deoxys catch CP will vary between 1485-1570. In boosted weather, it will vary between 1857-1963. 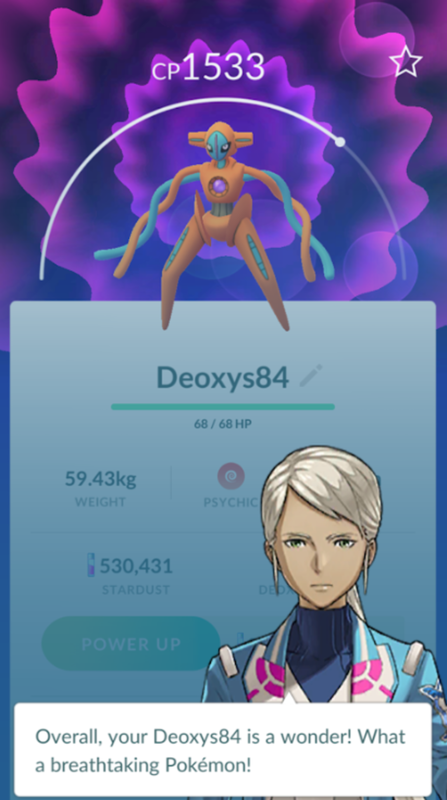 Breaking 1543 means your Deoxys will likely be above 90% IV! 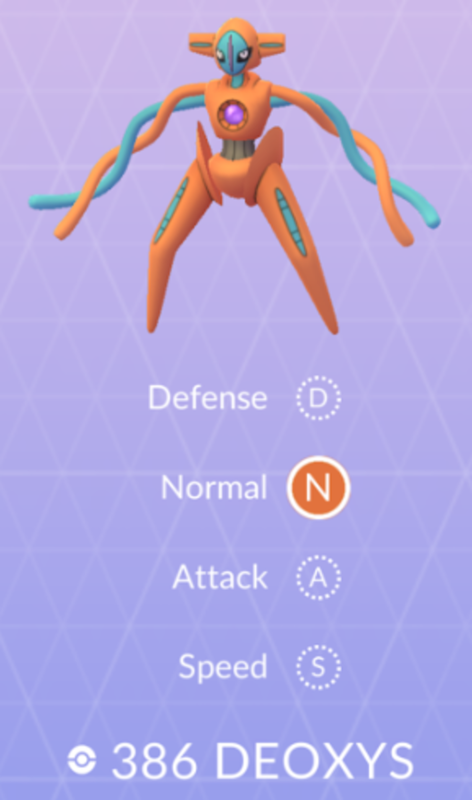 Deoxys does have 4 total forms, but only Normal is currently available in Pokemon Go. 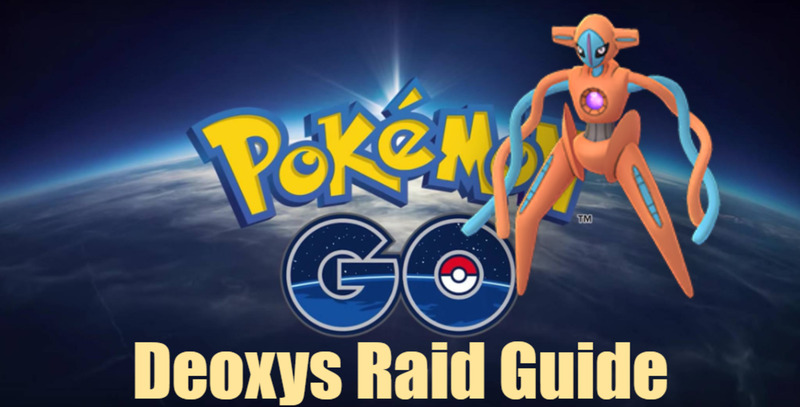 The Deoxys EX raid is overall not too difficult, and if caught, Deoxys is a fairly powerful Psychic Pokemon. 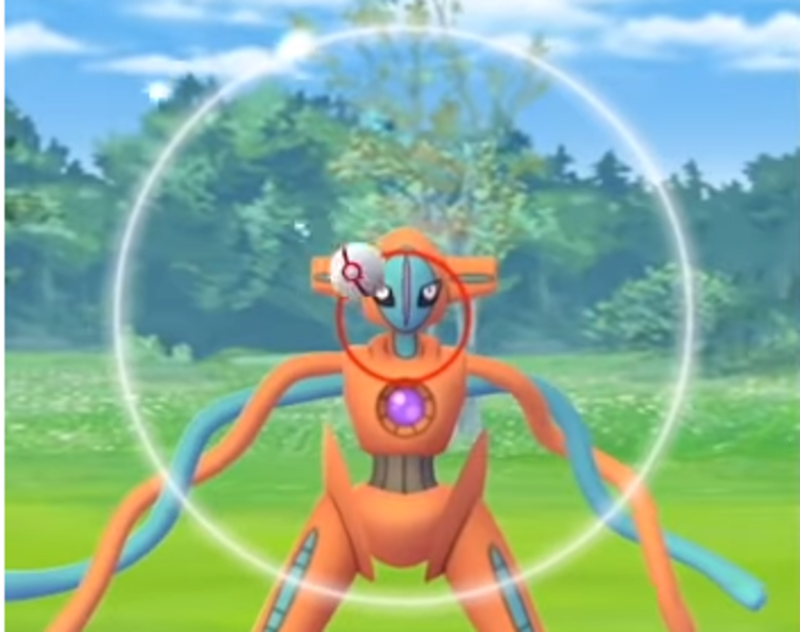 However, I'm more interested in seeing the 4 Deoxys forms when they are released. 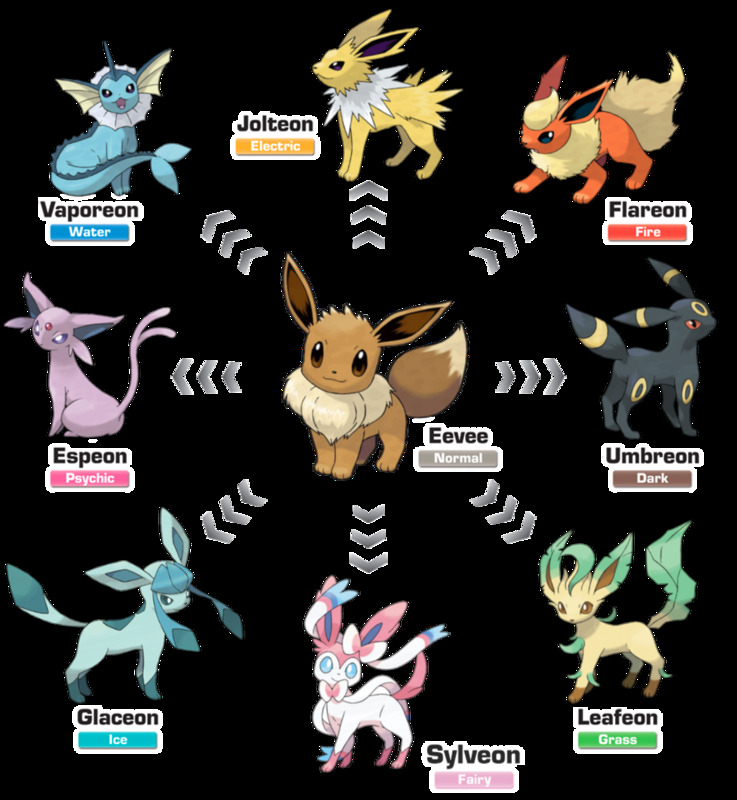 At the moment it's unclear how Niantic will release them, but perhaps it will be as simple as each EX raid wave will feature a form and so you'll need to get at least four invites to catch them all. Based on the stats, the normal form is arguably the best, but other forms will likely have their purpose (I'm looking at you attack form).